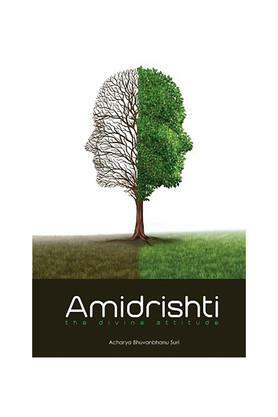 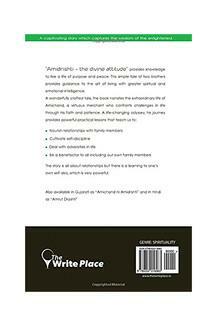 "About the Book Amidrishti - The Divine Attitude provides knowledge to live a life full of purpose and peace. This simple tale of two brothers provides guidance to the art of living with greater spiritual and emotional intelligence. A wonderfully crafted tale, the book narrates the extraordinary life of Amichand, a virtuous merchant who confronts challenges in life through his faith and patience. A life-changing odyssey, his journey provides powerful practical lessons that teach us to: Nourish relationships with family members Cultivate self-discipline Deal with adversities in life Be a benefactor to all including our own family members The story is all about relationships but there is a learning to one's own self also, which is very powerful. Also available in Gujarati as ""Amichand ni Amidrishti"" and in Hindi as ""Amrut Drashti."""